Regal Air began in the summer of 1982 with a single pilot named Bill Kunkler and a Cessna 185. 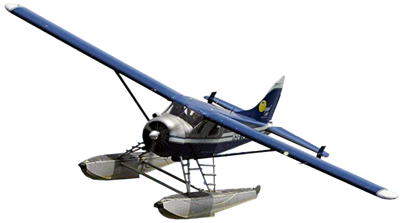 From 1982 until 1990, Bill and his wife Lucy ran the business and grew to 2 aircraft focusing on charter work and air taxi for the Alaskan’s living in the bush. In 1990 the company was sold to Craig and Sara Elg, who ran it until the summer of 2005. During the 15 years the Elgs managed the company, we maintained our core business of air taxi and air charter work, and also began expanding into new tourist markets of flight seeing. In the summer of 2005 the company was purchased by the current owner Mike Laughlin. We at Regal Air are still proud to consider our core customer base local Alaskans, providing them with essential transportation services. We are also happy to show off our wonderful state to our visitors by expanding into bear viewing and flight seeing destinations. Since our humble beginnings we have grown to a fleet of 2 DeHavilland Beavers, 3 Cessna 206s, and a Piper Navajo Chieftain. We are very proud of our unsurpassed safety record after 35 years in business, by focusing on well maintained aircraft, competent and experienced pilot staff, and a well coordinated ground crew. Regal Air continues to grow and plans on being a main operator to the Alaska Backcountry for many years to come.